Thanks for joining us here on the Kingdom Minded Show. We've got new music by St. Louis artist Mynista, Lil Prophet and Relikis. We found a dope freestyle by Ground Xero and are featuring a classic Sho Baraka song for the Fa Sho Shot. We're also praising God or the fruit that we've been seeing lately from the seeds planted over the last year and a half. We'll be providing the music for a community event here in Peoria on June 16th. More details will follow. Let us know if you would like us to come out and provide music for your event or party. We can work out details on the booking side. Please feel free to download this weeks show here if you like it. We got a slammin' show for you today. Wes P dropped a new EP, Ackdavis's "Downtime II" came out, and a good friend, Da Scapegoat has been back in the booth and we have his new song. We're excited also to announce that we have been launched into the atmosphere as of last night. We provided the atmosphere changing music for a street ministry that witnesses and prays for people here in Peoria, IL. It was an awesome time and God was in the midst. Thank you for visiting the website. This is your show. Call or text any requests to 775-375-KMRS. Welcome to this week's Kingdom Minded Show. The wait is finally over and I have to say, Lecrae's new mixtape was worth the wait and lived up to the hype. There is something for everyone on it. The have been 100,000 downloads in 48 hours. Not to forget about the rest of Christian hip hop, we have new eshon burgundy, Andy Mineo, Thi'sl, and Scooda. In fact, we caught up with Scooda on the phone and chopped it up for a few minutes. Mother's day is also this week, so happy mother's day to all the mothers out there. We hope you enjoy your music driven show this week. We're looking to get out of the box and start playing some Christian hip hop out and about town. If you have an event you'd like quality Christian hip hop and urban gospel, let us know and we may be able to go mobile. We're planning on being out on Western Ave. here in Peoria this Friday night. Stop by and say hi if you are driving by. We'll be witnessing and ministering too if you need prayer. Here is the link for you to download the show for yourself. 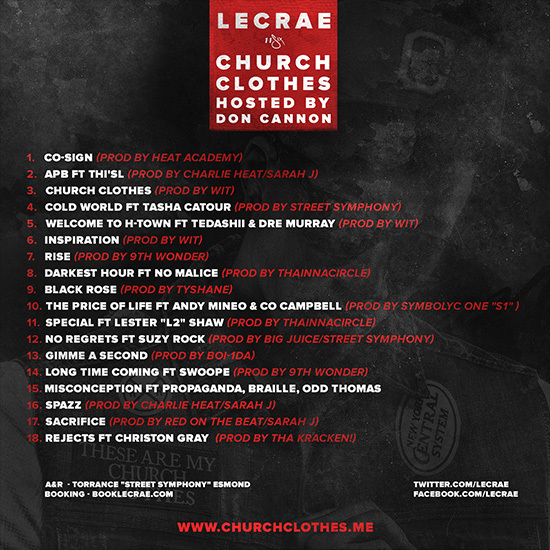 The new Lecrae mixtape "Church Clothes" drops tomorrow. The buzz for this is incredible. Our prayer is that it will wake up and win souls to Christ as well as open the eyes of more people and radio stations to see Christian hip hop for what it is...real hip hop with a very relevant message that the people need to hear. Here is the countdown for Lecrae's "Church Clothes". Peep the Tracklist and plan on downloading it! Today we are featuring an in depth interview with D-MAUB and Eric Cross AKA The Creature Clan. We've got a few new songs and took you out west for our Fa Sho Shot by Qheem the Redeemed as well as a Phat Freestyle by Bizzle. 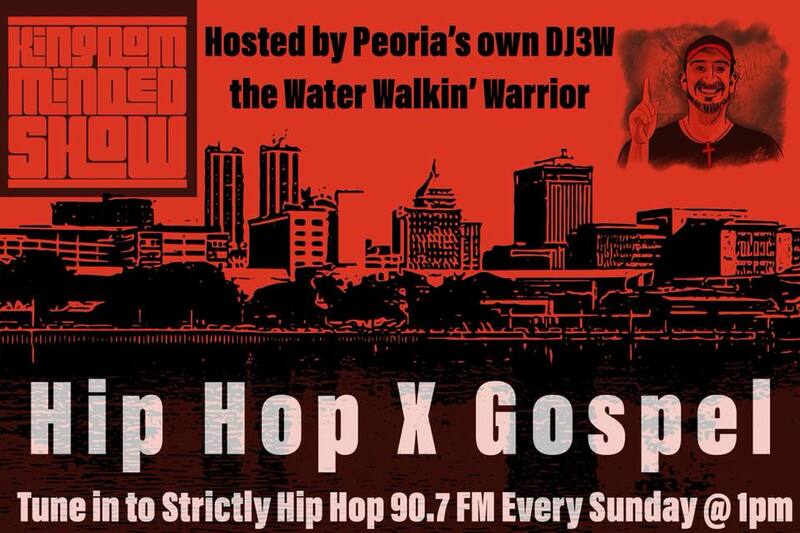 You can listen to the show right here or at www.WAZUFM.org from 2-4 PM CST and www.GhettoGospelRadio.com from 7-9 PM EST tonight. Feel free to download the show for your iPod or to listen to in your car at the links below.